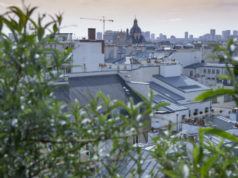 By popular demand, chef Christian Constant– a firm favourite with Bonjour Paris since he left his Executive chef post at Le Crillon and launched Le Violon d’Ingres– has opened a new outpost of Les Cocottes. 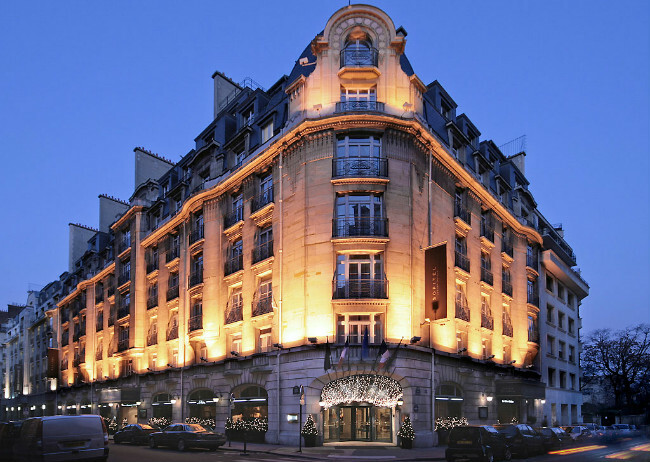 For his fourth eatery, Constant has chosen to transform the former Initial restaurant inside the Sofitel Arc de Triomphe. There’s no doubt that this chic 90-seater airy space, with bar and decor by Luis Allelulia, will be packed from dawn to dusk. At Les Cocottes, chic comfort food (cooked in colorful Staub casseroles) never tasted so good. You can also take a little bit of the unique atmosphere home from the boutique. Staubs (200€) as well as signature pochettes (18€) and Notes From My Kitchen (15€) one of chef Constant’s cookbooks. Sounds like a recipe for success. Rue Penthievrè runs from rue Cambacérès and finishes on rue du Faubourg Saint Honoré. It was named in 1846 in honor of the Duc de Penthievrè, grandfather of Louis Philippe 1er. At various times in history, Napoleon’s brother Lucien lived here (No. 26) as did French filmmaker Jacques Tati at No. 30. Outside No. 41, suited and booted Ultra High Net Worths wait patiently for tables. Au 41’s owner Alexandre Lallemode (formerly at Violon d’Ingres) offers glasses of red and white wine, “pour patienter”, and a little charcuterie. Once seated they order the delicious dishes, with a nod and a wink to the chef’s native south-west, created by Alain Carrère. The sublime signature “Darphin” of sliced potatoes, fried then oven baked, are crisp outside, soft inside, cooled and wrapped in house smoked salmon, garnished with Avruga caviar. Or try the Fricassée of girolle mushrooms and lomo Iberique (marinated pork loin). Other suggestions include the beef tartare, duck foie gras, parmesan shavings; Crab and French bean salad, mango and melon condiment. We recommend drinking white Le Pucele de Romarantin, Henri Marionet 2013 with a citrus tang and long, mineral aftertaste. (46€). Mains always include a dish of the day, say, Plancha roasted turbot, drizzled with olive oil and a side of crushed potatoes. Then there’s Flash fried seabass, tomato sauce and Greek style button mushrooms; Roast lamb chop, tomato crumble, fresh goat cheese (29€); Braised beef Rossini, baby roast potatoes, jus (26€). For dessert, don’t miss the Cherry Vacherin, served with almond cream. 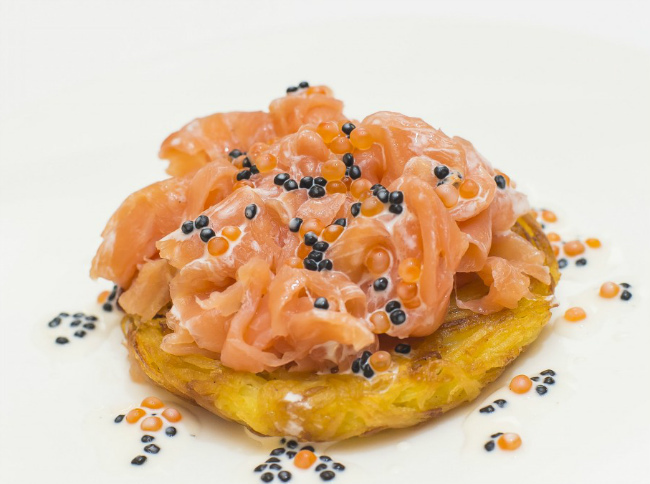 The young and talented chef Yariv Berreby works culinary wonders at his two Paris restaurants. 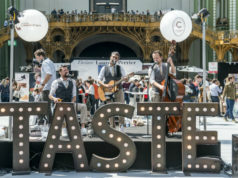 The chef honed his craft with Alain Senderens at “Lucas Carton”, Le Meurice and with William Ledeuil at “Ze Kitchen Galerie” and “KGB” where he was head chef. In 2013, on the Paris Boulevards, Berreby launched Le Bat– a restaurant with a large central counter, open kitchen and outside terrace. Lunch includes tartares and dishes of the day, and the dinner concept concerns a long tapas card and excellent world wines. Service 12h to 15h and 19h until 22:30. Sunday brunch- Closed Sunday evening. A limonadier is in attendance in the afternnoon. 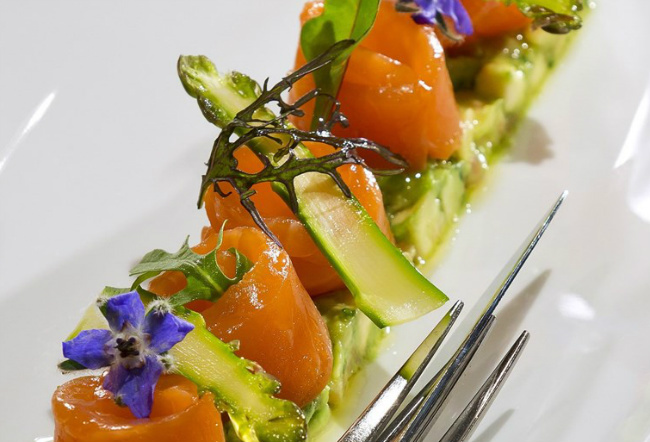 In the Bois de Boulogne, Lagardère Paris Racing Club is where Yariv recently launched a gastronomic restaurant showcasing seasonal products perfectly cooked and beautifully presented. Le Racing restaurant and bar now opens to non-Club members, from Tuesday to Friday for lunch from 12h to 14h and dinner from 20h to 22h. Reservation required to enter the Club at Porte A. 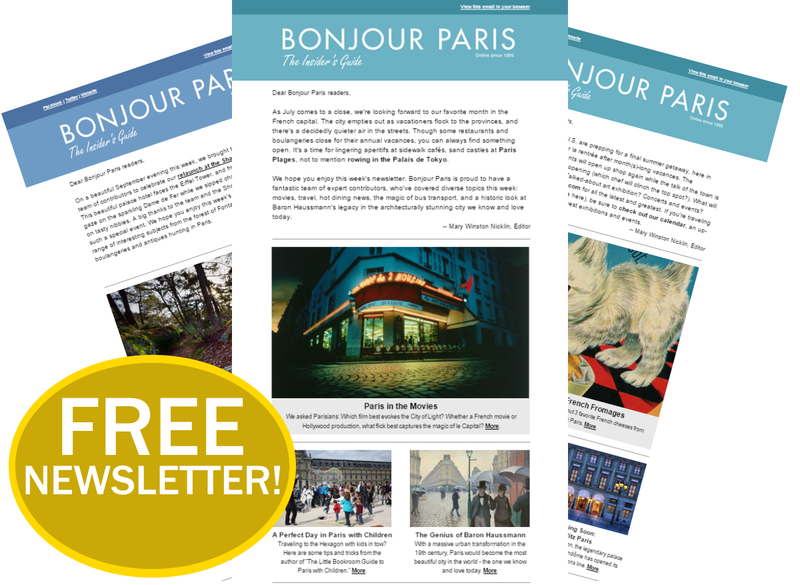 Le Balcon on the 6th floor of the Philharmonie de Paris just opened its doors under the direction of Karil Lopez. 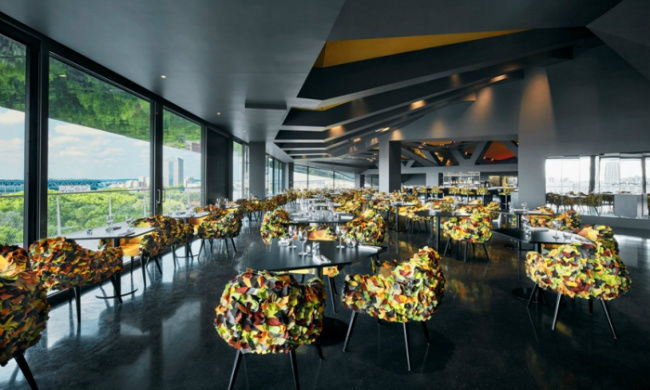 The former chef at Le Bristol and Cristel de Sel is excited to be creating the menus at Le Balcon, in the state-of-the art building designed by Jean Nouvel. “The concept is simple, based around four seasonal products,” says Lopez of the 150 seater space with panoramic outside terrace for 30, designed by architect Frederic Druot. If you love fish you’ll fall, hook, line and sinker for the right-bank, Seine side, Michelin star Antoine where there’s news from chef/captain Thibault Sombardier of bright new décor, “aquarium”-inspired, and a menu. Working with an enthusiastic team in the open kitchen, Sombardier sends out dishes that sparkle like the Eiffel Tower, right opposite Table 6, at night. 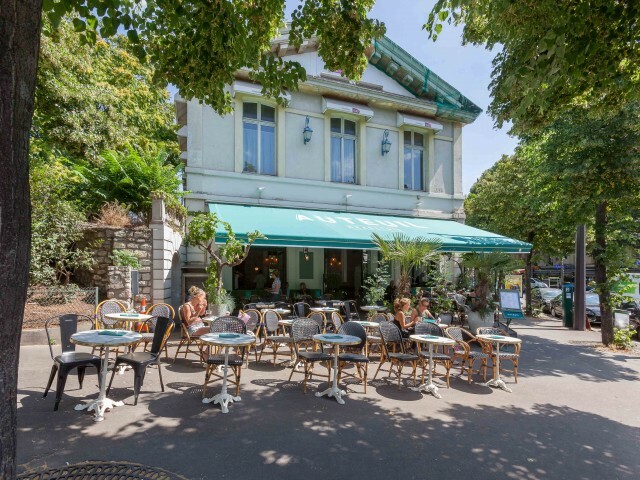 And, watch this space for details of MENSAE Sombardier’s bistro chic at Buttes Chaumont. 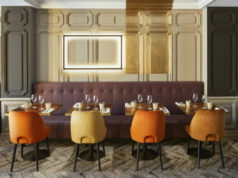 The former Mary Goodnight– located in the atmospheric old railway station of Porte d’Auteuil– has a new look created by architect Laura Gonzalez. Eric Cresson created the Italian inspired menu, which also features eclectic cocktails. Try the Abracalabria (vodka, grapefruit, cordiander, ginger ale 12€). Sharing plates, salads, burratta & truffles, fresh pasta, pizza, antipasti and home made ice cream desserts. Stupenda ! 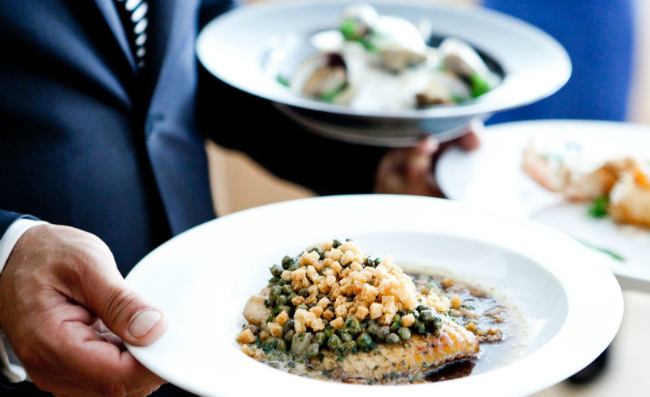 In September, Rech– Alain Ducasse’s Michelin-starred fish brasserie– brings the USA to the avenue de Ternes. 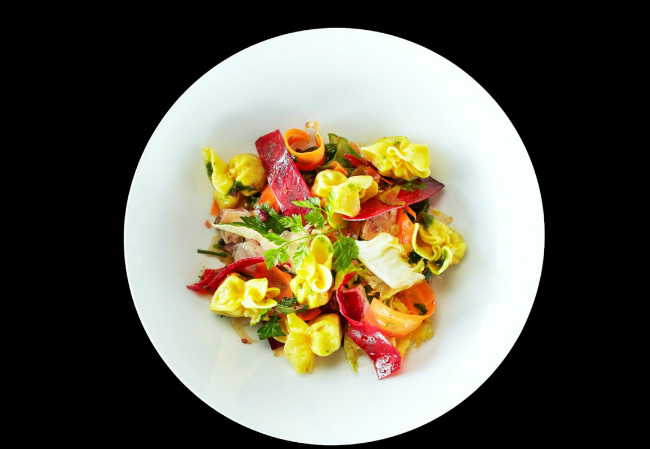 Damien Leroux, Rech Executive chef since last January, offers his delicious spin “Paris Style” served with a glass of Côtes du Roussillon Villages Clos des Vignes Domaine Gardiés 2013 (17€). Rech was created in 1925 by Monsieur Rech. Go for the Crab Cakes but stay and taste the exceptional menu, full of inspired, creative dishes, echoing the tides and the seasons. The Clever Sailor “Marin Malin” (prix fixe menu, €44 at lunch) changes each month depending on the catch and the passionate young chef’s inspiration. And don’t ignore the Camembert from Marie-Anne Cantin and Mrs Rech, the dessert ! 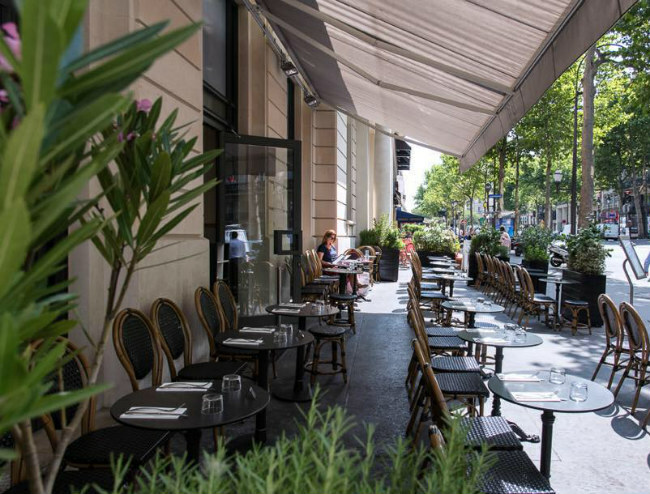 Le W, located just off the Champs Elysées, is the perfect spot to relax before crossing the road to check out the news season’s collection at LVMH’s flagship store and the rooftop exhibition space. 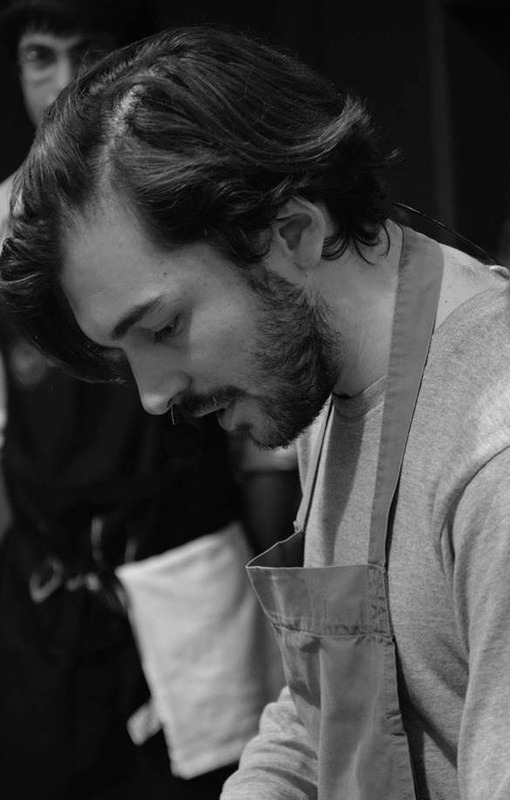 Chef de Cuisine Ludovic Bonneville cooks a 3-course lunch (39€) from an open kitchen. I catch his eye and he tells me to order the fish dishes today, maki de crab, gravlax and spicy vinaigrette followed by tender white grilled swordfish with sweet potatoes and forgotten vegetables. Excellent with a glass of Saint-Peray AOP J.Lemenicier 2013 (12€). Service is swift and efficient; am I getting older or are the waiters getting younger!? The dessert wagon doesn’t disappoint; I choose apricot clafoutis and raspberry tart. Get a room? There are 149 rooms equipped with free wi-fi and flat screen TVs, priced about $359 plus breakfast 24€. In warm weather, the roof terrace offers cocktails and grills.